Every practice as a whole hopes their patients will come back again and again. Physicians? They rely on return patients. Physician marketing can facilitate this. Unlike traditional healthcare marketing, physician marketing focuses heavily on the physicians, their accomplishments and qualifications and strives to build relationships between physicians and patients. The end goal of this is to attract more patients and maintain lasting relationships with the patients you gain. Although marketing can be expensive, there are ways to keep costs down by leveraging online medical marketing strategies. A strategic physician marketing strategy will increase the visibility of your physicians, improve brand recognition for your practice, and elevate both as leaders in your local medical community. Most physician marketing strategies will lead to more networking opportunities for your physicians and practice, as increased brand recognition can lead to speaking engagements and online guest posting. More brand recognition can lead to more referrals, as people will think of your physicians and practice first when asked about where to go for healthcare. Many physician marketing services can help build your image as thought leader in your field and establish your place as an expert. This is especially true with content marketing, which gives you a place to flex your knowledge and share original research and data. Establishing your physicians as thought leaders can lead to more visibility for your practice and, thus, more marketing opportunities, providing the momentum you need for continued and exponential growth. This is only a handful of perks marketing brings. Strengthening your brand and keeping people interested should be a priority. There are a number of strategies and tools that can be used in physician marketing, each one offering something different. Social media may not seem like the ideal place to promote your practice, but it’s actually incredibly important for your marketing strategy. For proof, consider this: 42 percent of consumers turn to social media for health-related reviews before picking a practice or physician, according to PwC Health Research. Although paid social media ads are an option, simply posting regularly on your social media can help your page stand out and get the traction it needs. If you need ideas for content, consider sharing relevant news articles about illnesses in the area, tips on staying healthy during flu season, and so on. You can even use your social media page to hold contests, donate medical services to charity, or give your patients the chance to win prizes. Similar to social media posting, regularly posting high-quality content on your site’s blog can do wonders for your practice and physicians. Your blog is an especially great place to share information about staying healthy, the importance of yearly exams, and more. 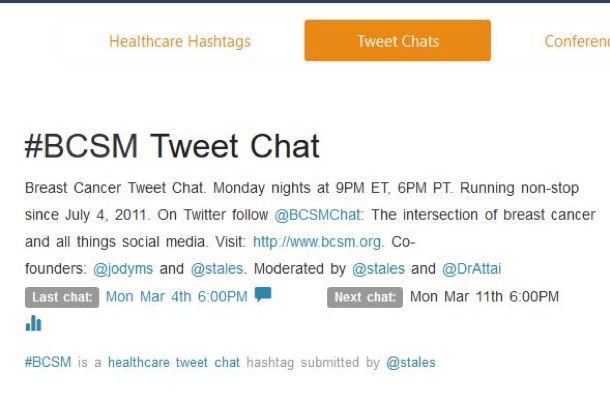 This is also a great place to share any original research your physicians have done, and a great way to establish your team as thought leaders in the field. This type of status can result in guest posting opportunities on other health-related sites, and even open doors to speaking engagements. Both of these opportunities can help your brand find new patients, and reassure current patients that they’re with the best of the best. When creating content, it’s important to keep your audience in mind. Consider the demographics of your patients and see what kinds of questions they’re asking on Quora, a popular social media network centered on Q&A sessions. You also want to check if people within their groups are active in certain Facebook areas, LinkedIn groups, and so on. This can give you a good idea of what to write about. Not only this, knowing where people like your patients hang out can help you formulate an effective content promotion strategy, which is essential for ensuring your content takes off. With your physicians established as thought leaders or experts in their field, guest posting opportunities will become easier to land. Guest posting is a great way to reach a new audience and potentially land new patients. Not only this, guest posting can help your site strengthen its domain authority, which can, in turn, make it more likely your website content will appear at the top of search engines. This can translate into more traffic and increase your chances of landing new patients. Content on your site can only do so much; your site must also be optimized for search engines. Make sure your site is SEO friendly by following SEO best practices. These can change, so regularly check reliable sources including SearchEngineJournal, the Stone Temple blog, the Moz blog, and the SEMRush blog to see if there’s anything you need to update on your site. SEO best practices also include having a site that’s mobile friendly or responsive. This will result in your site loading properly on mobile devices, which is very important because two-thirds of the world now connected via mobile, according to GSMA Intelligence. Speaking of mobile, mobile marketing is a great way to stay engaged with your patients. Using mobile, you can prompt patients to fill out a satisfaction survey after their appointment, which can help your practice improve its online reputation. Not only this, mobile is perfect for letting your patients interact with your practice. In fact, a Harris Poll survey found 59 percent of patients with insurance said they’d choose a primary care provider that has a patient mobile app over ones without. These apps can not only let patients schedule appointments, but also give them the chance to connect with your practice if they have any questions. Reputation management can be messy and downright disheartening at times, but it’s also important to your physicians’ success and the success of your practice. A good portion of consumers turn to online reviews before they choose a physician or practice. Managing your reputation is a great way to ensure people are getting a great view of your physicians and practice. A big part of reputation management involves responding to reviews and questions on social media. If you notice people having concerns or leaving negative reviews on your Facebook page, for example, reach out to these people and see what you can do to help. Oftentimes it’s possible to salvage a negative review through some simple communication. Not only this, others will see that you’re interacting with your patients and take this as a sign that you care, which can, in turn, help them decide to go with your practice and physicians. Again, physician marketing is all about relationships and building that personal connection. Nothing says this like reaching out to those in need on your social media pages.